Optimal (controlled) drying of the seeds and pellets in a conditioned cabinet with a fluid drying proces. When small quantities of (fruit) seeds and pellets is dried, the most optimal conditions are expected. Furthermore it can be necessary to have a product in movement at the start of the drying process. To be able to satisfy this need, a drying cabinet has been developed, in which the seeds or pellets can be dried fluidly. This prevents adhesion or tearing (pellets). After this stage of pre-drying, the seed can gradually and statically reach the desired moisture content. The inblowing temperature is also automatically adjusted per stage if desired. 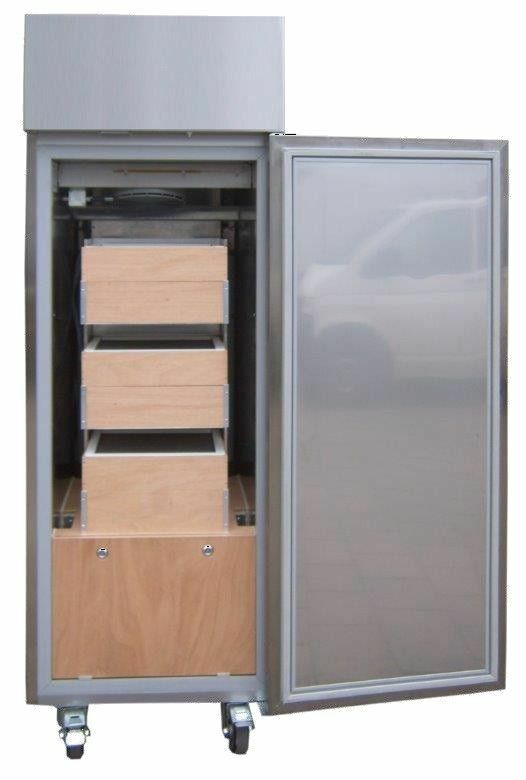 In the climate cabinet the product will be dried in 3 levels. 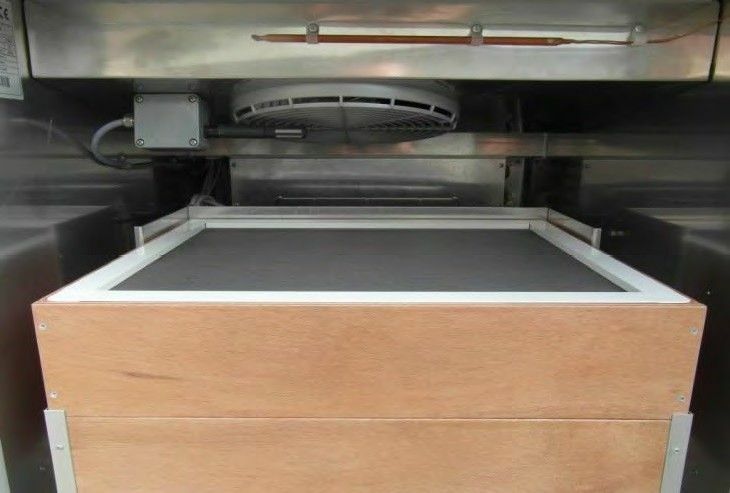 The drying process can take place in various steps (stages) at which per stage, the temperature, air quantity and speed of the moisture absorption can be configured. 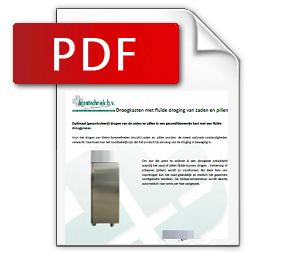 For a quick drying proces a refrigeration dryer is installed (to ca, 5 gr/kg; 30% RH at 25°C). 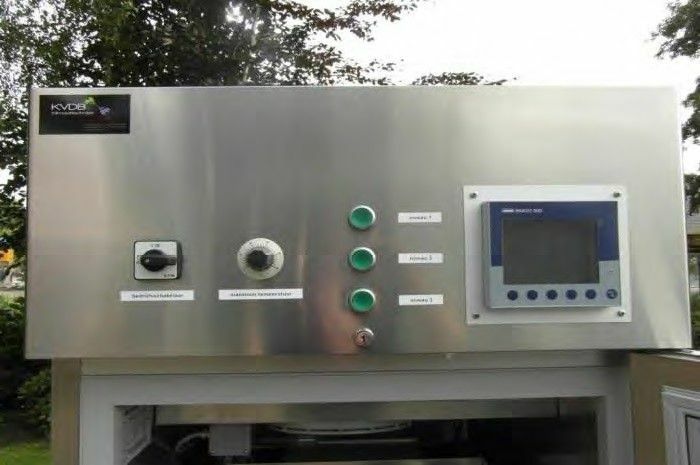 To gradually reach a low absolute moisture content, it is possible to also add an adsorption dryer (1,5 gr/kg; 15% at 15ºC). An ultrasonic humidifier is installed to be able to have air circulation, also with a high moisture content. This enables a steady drying proces, by gradually decreasing the absolute moisture content (AH). It is possible to configure the air quantity in a pulsating manner. Very vulnerable seeds or pellets will alternate between being in motion and in rest. This way the product will remain loose and aerated without damaging. The product will also dry very evenly. All settings and measurement values can be saved to your pc using the ABC PC Program. These values can be called up again in a graphic or table for analysis. This makes it possible to, if needed or desired, have a tailored adjustment of the processes (Pre-sets).